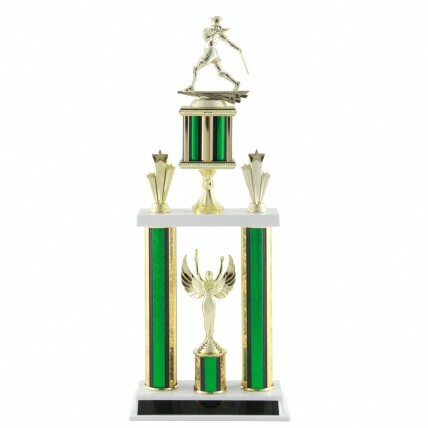 Deluxe Softball Tournament Trophy - 21.5"
Our grand Deluxe Softball Tournament Trophy - 21.5" features sparkling column with golden star trim. A 5 inch girl softball player in action and a female victory figure are the stars of this deluxe 21 ½ inch winner’s trophy. Your choice of red, blue or green column color; column features golden striped highlights. 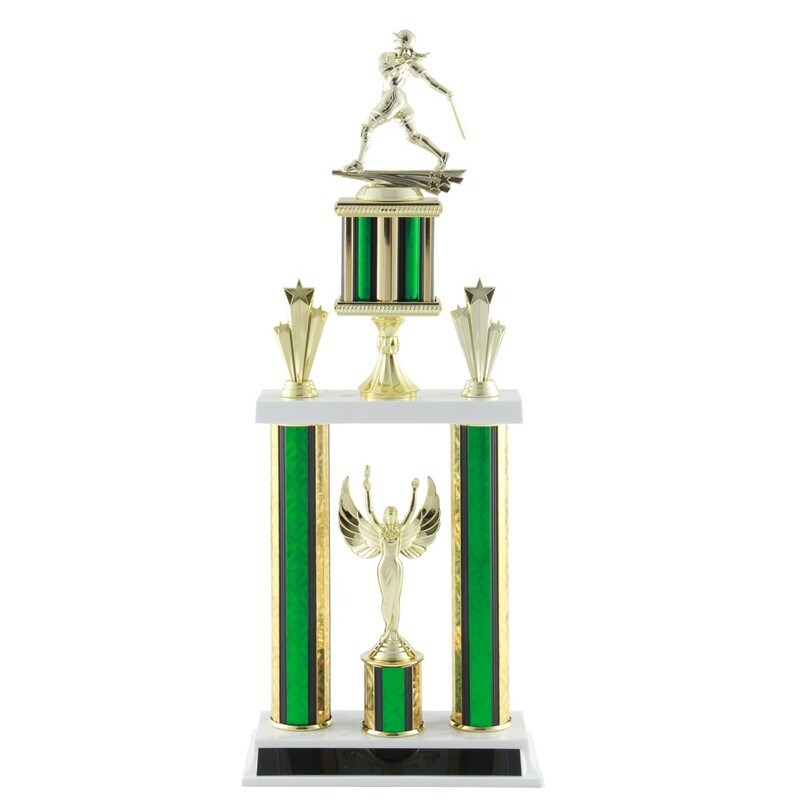 Female Softball Tournament Trophy - 19"
Deluxe Softball Tournament Trophy - 18.5"